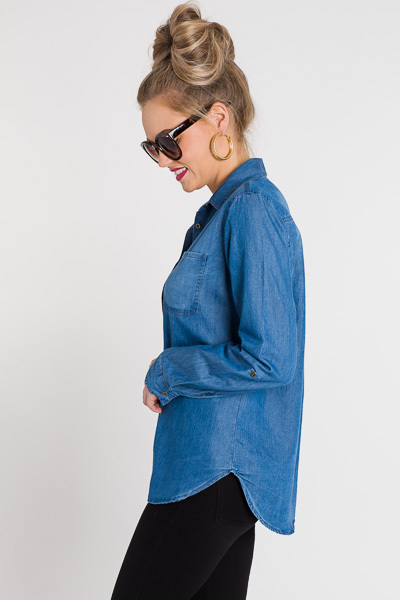 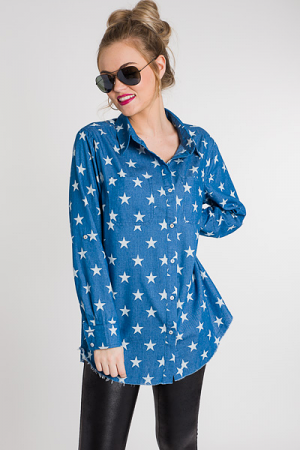 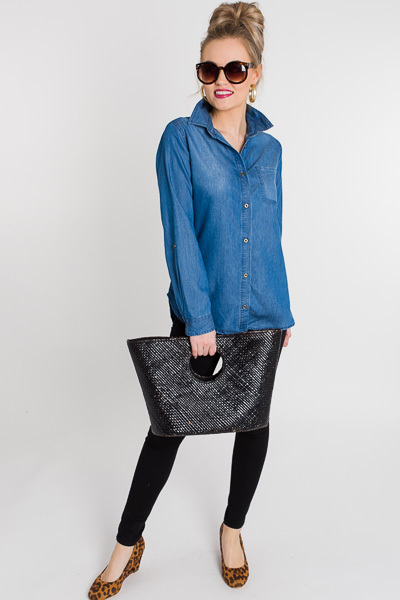 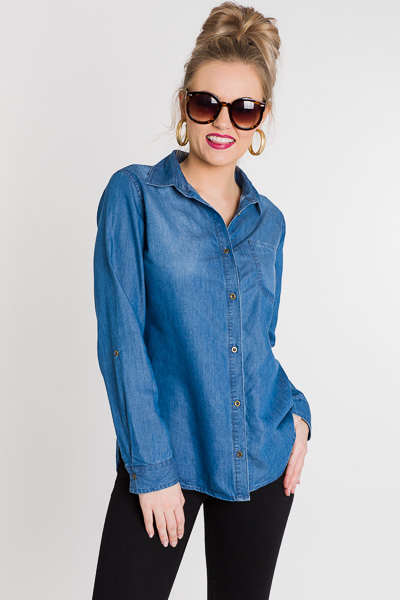 You really can't go wrong with a classic denim button up! 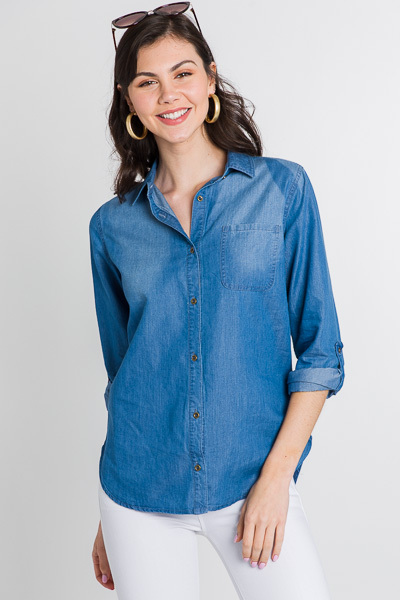 A medium wash, tabbed + rolled sleeves, and relaxed fit are ideal for taking from season to season. 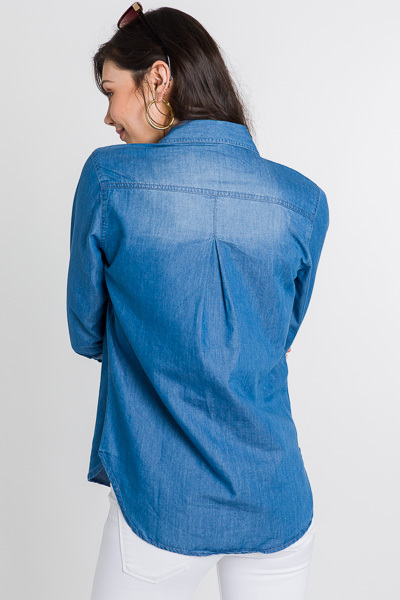 Cotton blend.